Self-care can take a thousand different forms based on your individual needs and circumstances. But it can also vary from season to season, because of course, some activities tailored for warm weather won’t translate to snowy days — and vice versa. 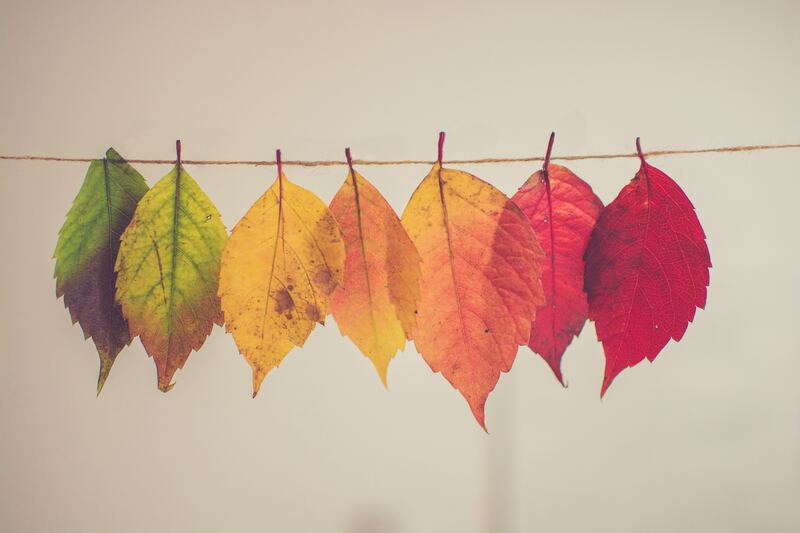 Take advantage of the changing seasons as an opportunity to infuse variation into your typical self-care routine. Here are a few suggestions for activities that lend themselves to both autumn and self-care. 1. Grab your coziest blanket, put on your yoga pants, and stay inside for a good old-fashioned TV binge. Watch something seasonal like Hocus Pocus or just a guilty pleasure like Once Upon a Time. 2. Burn a pumpkin spice candle or cinnamon incense while you soak in a hot bath. 3. Grab someone you love and go for a scenic drive — wherever you can find colorful fall foliage. For bonus points, bring a camera and stop along the way for an informal photo shoot. 4. Go to a pumpkin patch. Sometimes they charge admission, but you can also find smaller farms that allow you to walk around for free. 5. Find a local corn maze where you and your friends can wander. Care to make it more interesting? Start the evening at someone’s house with hot buttered rum, then have a designated driver chauffeur you all to the maze! 6. If you can muster enough courage, visit a haunted house. Check out reviews and ratings online beforehand to ensure you’re picking one with just the right amount of scares. 7. Whip up your best batch of autumn-inspired fare: pumpkin bread, oatmeal cookies, even delicious roasted pumpkin seeds. 8. Pour a mug of piping hot apple cider. Pro tip? If you’re looking for something boozy, add a shot of rum and you’ve got yourself a delicious drink. 9. Bundle up in your warmest sweater, then venture into the night and build a crackling bonfire. You can do this on your own or with someone you love! If you haven’t got somewhere outside to build a fire, but you have a fireplace, you can always keep the party inside. 10. Pick a scary movie and cozy up to someone—even your cuddly dog—on the couch. The moral of the story here is that self-care can be whatever you want it to be. It can fit into your life easily if you get creative about your approach. And autumn in particular offers plenty of self-care opportunities! The four most important things in my life are my coffee, my cat, my dog and my kid—sometimes in that order. I'm a Nashville transplant living in Salt Lake City. I write about everything from innovative tech to personal and family wellness. Follow me on Twitter @kladown23.